It's easy to get approved for a new trailer. 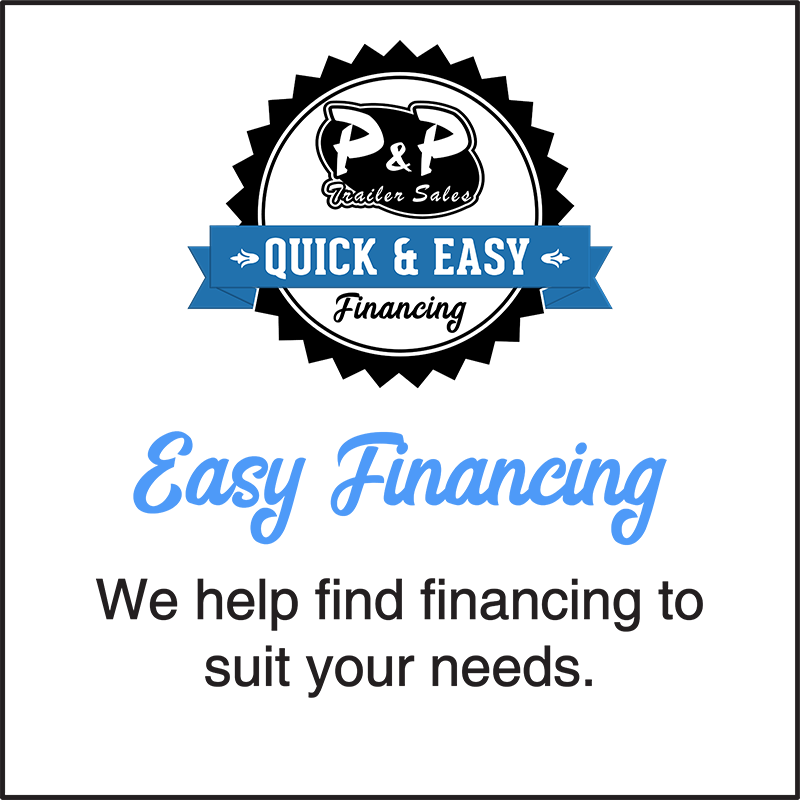 At P&P Trailer Sales we have a team of finance specialists ready to assist you and to make the financing of your new trailer as simple and painless as possible. Unlike the home mortgage industry, we don't shop your loan out to 50+ lenders. We have an array of lenders nationwide with programs specifically designed for horse trailers. We offer programs with rates and terms that are more than competitive. Call today for the best rates available in the market. We can even offer you a service protection plan to give you peace of mind when purchasing your new or pre-owned trailer. Our process is simple and takes just a few minutes. If you've decided you want to finance your new living quarter trailer, horse/stock trailer, cargo trailer, car hauler, dump trailer, flatbed or utility trailer you're not alone. Seventy percent of our clients finance theirs. With a minimum down payment and approved credit, you can arrange a credit financing with us and get out on the road a few hours after picking out your trailer. And because we finance more Bison, Bloomer, Lakota Trailers, Sundowner Trailers, Diamond C, CM and Carry-On Trailers than anyone else, we understand your special needs. Only someone who knows how you feel when you load that last horse, understands that hitting the road ASAP is your biggest concern. That's why we make it easy. Talk to P&P Trailer Sales about financing your trailer with credit, and get out on the road today.